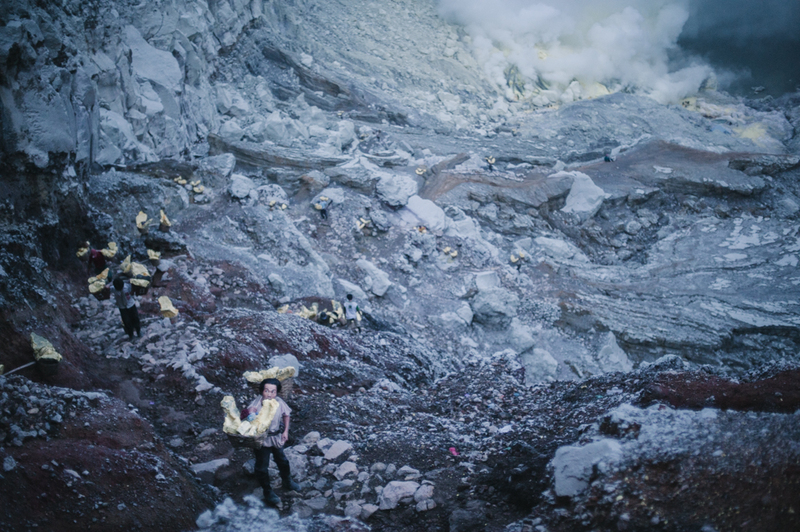 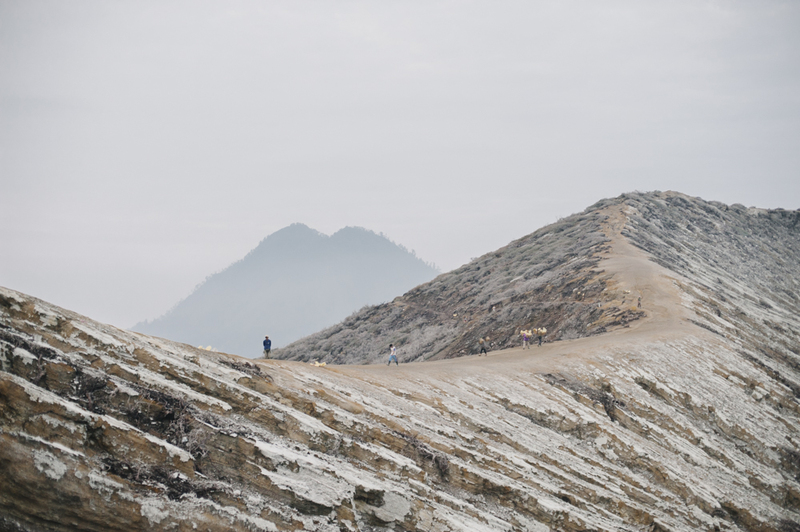 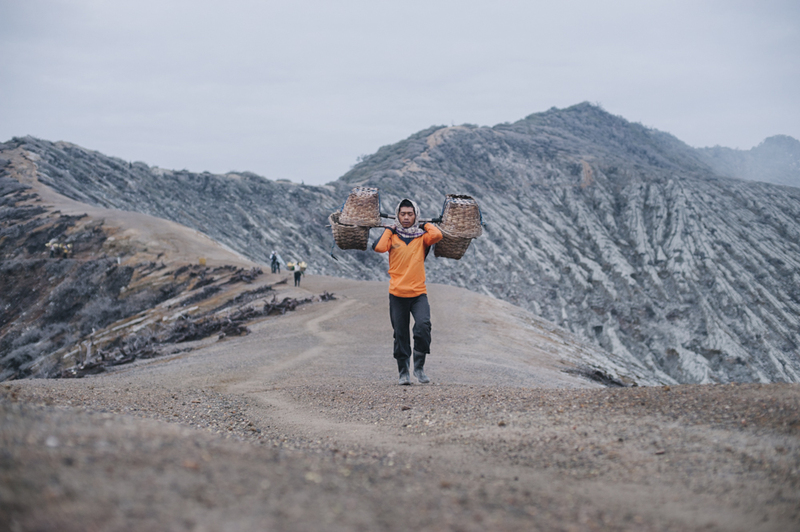 Besides being a famous tourist spot in East Java, Indonesia, Ijen Crater is also where thousands of sulphur miners earn their daily living. 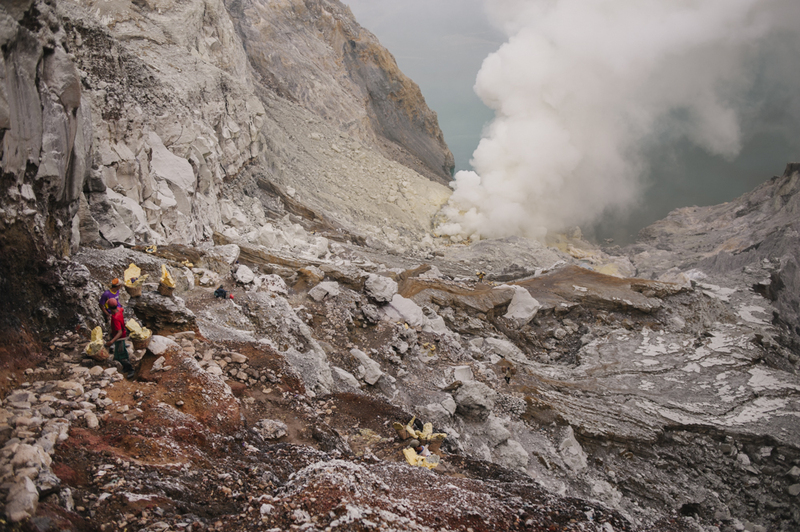 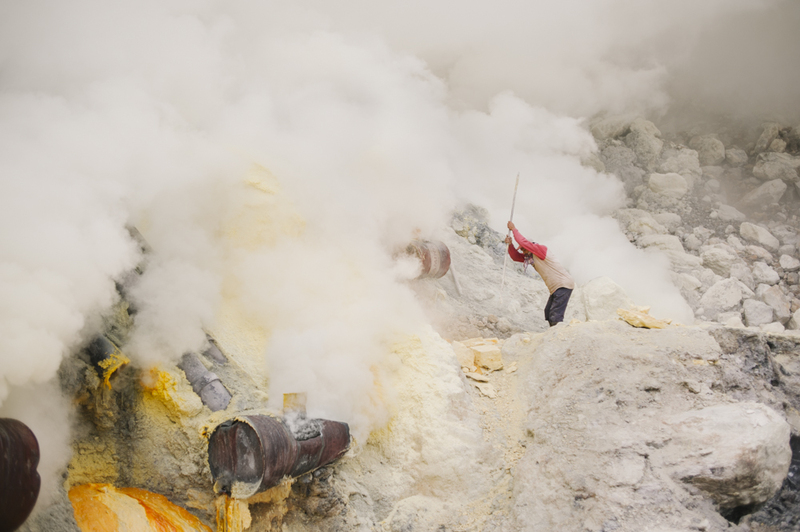 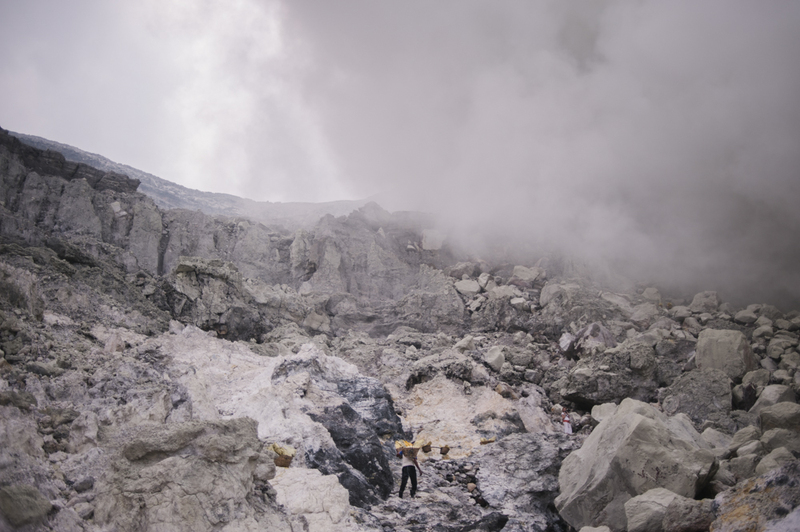 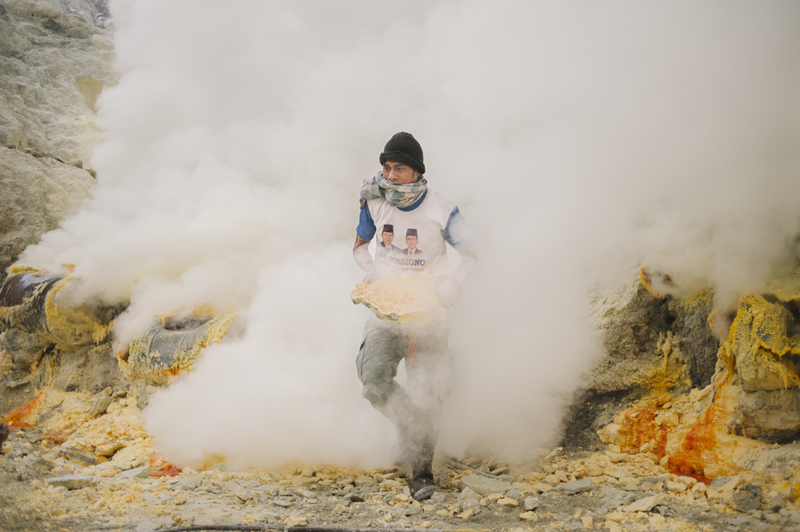 For the past 45 years, freelance miners and those attached to the sulphur mining factories have quarried approximately 10 tons of sulphur every day from this still-active volcano. 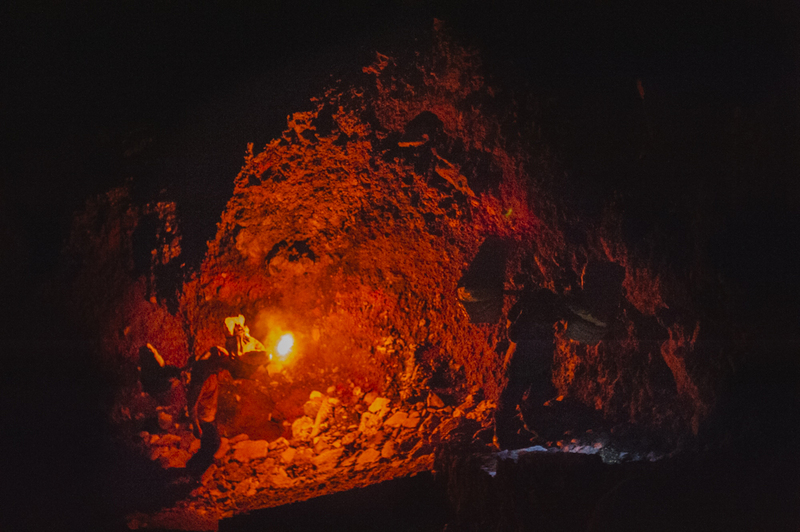 The miners’ working process has hardly changed throughout the years, mostly due to poverty and lack of education or proper medical care. 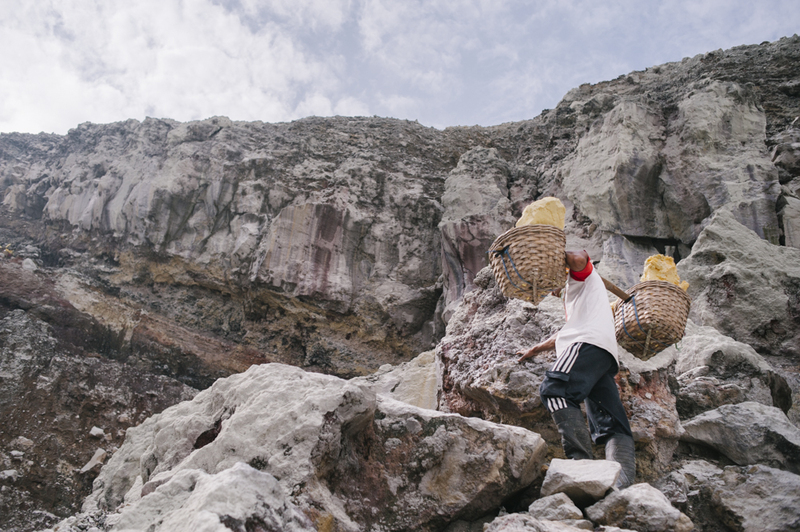 The sulphur is carried in traditional handmade baskets and collected using very basic tools, and t-shirts are used to protect the nose and eyes from sulphuric fumes. 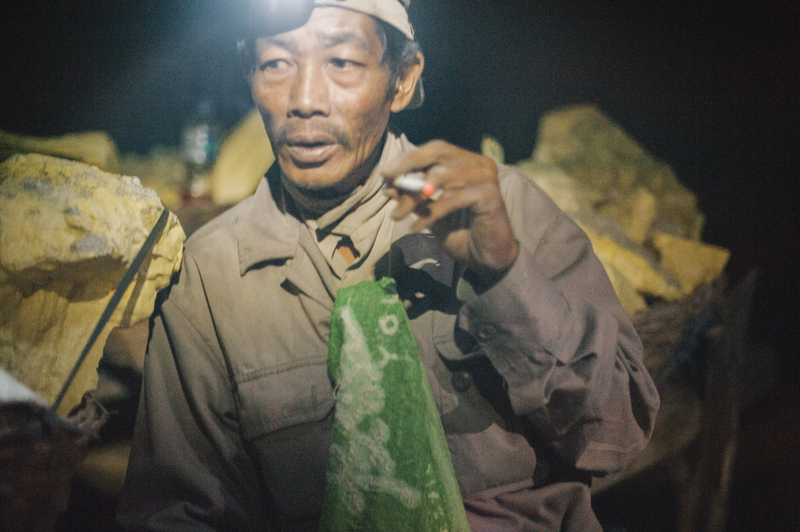 Even though the miners are exposed to high levels of poisonous hydrogen sulphide every day, gas masks are still considered a luxury. 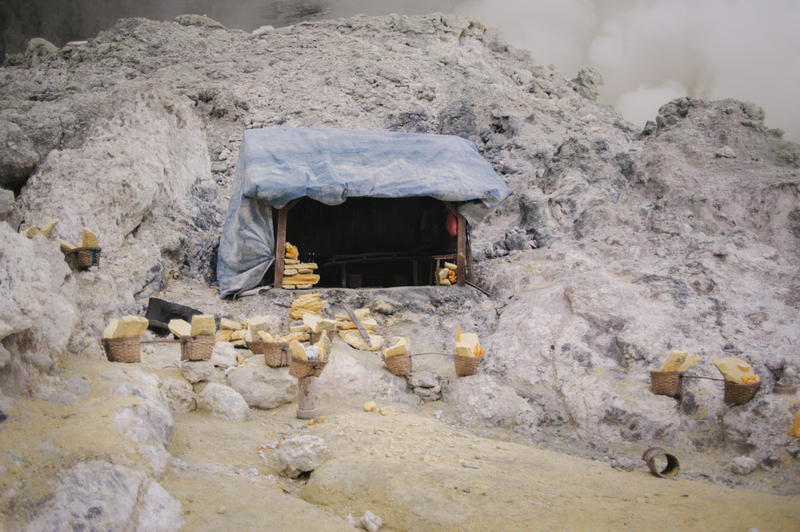 By many standards this is one of the roughest working environments in the world, but few miners really complain. 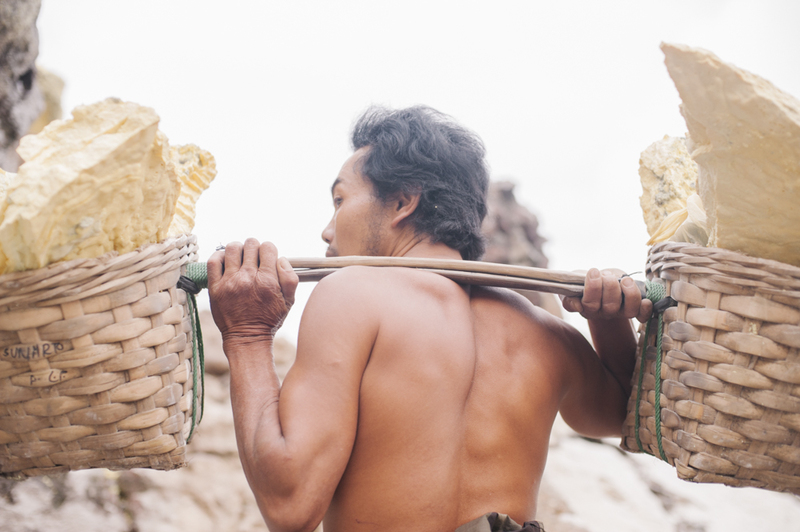 The daily payment of about $3 USD is still much higher in comparison to their other job options. 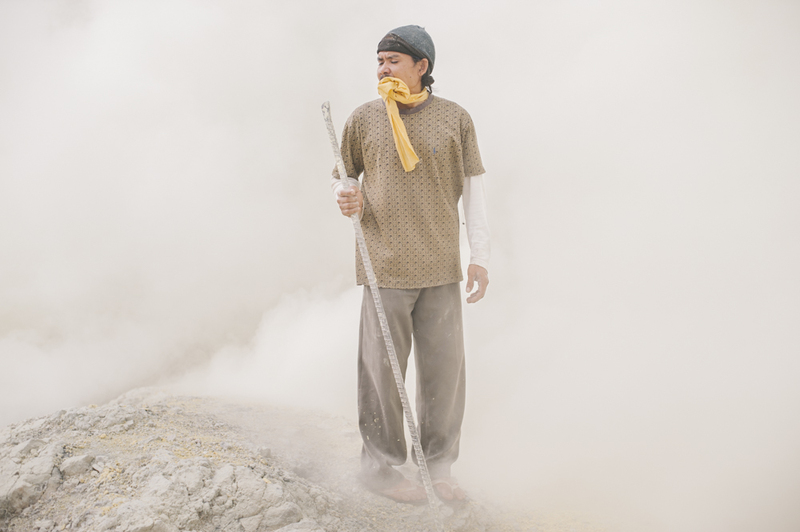 Oblivious to serious health hazards facing them they are generally happy they can make a living.